Quality Through To The Tips. 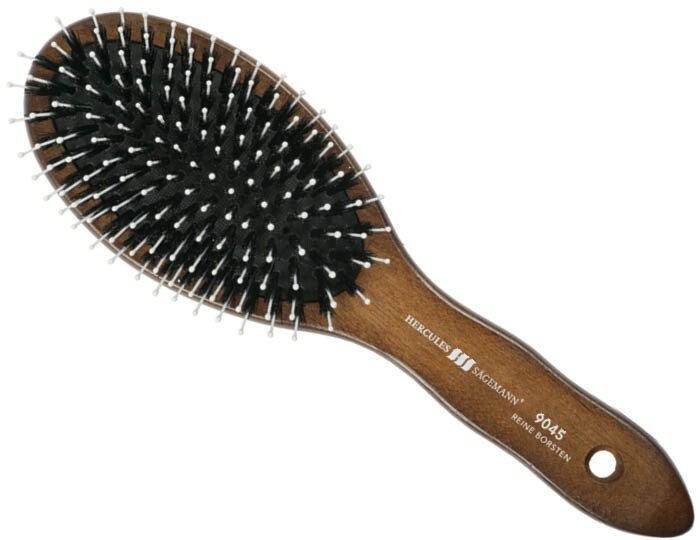 This has been the principle of Hercules Sagemann - Europe’s oldest company honoured for the best possible quality hair combs and brushes since 1856. 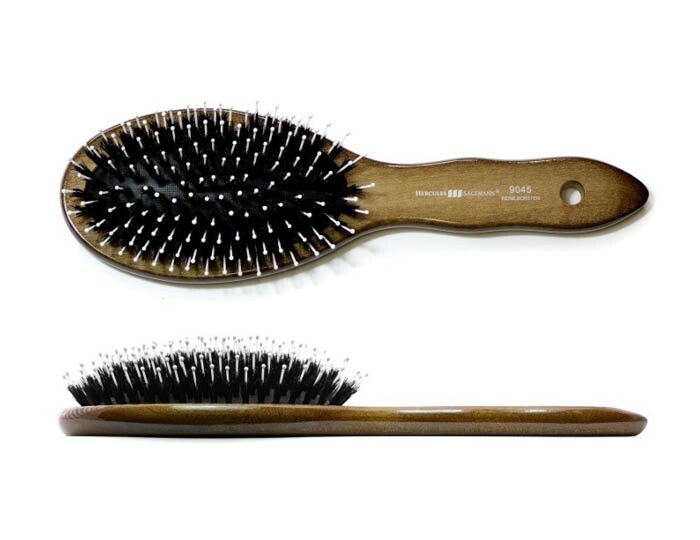 For over 150 years, Hercules Sagemann has been producing world’s best hair brushes that meet the highest professional standards. 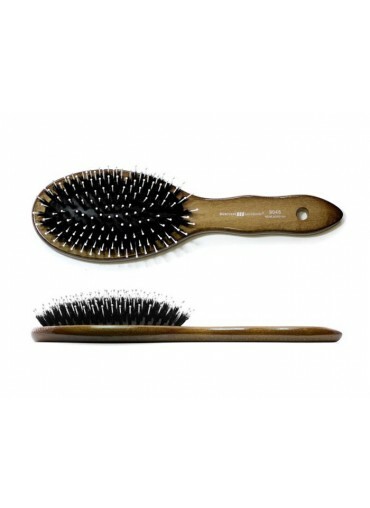 Hercules oval brush with luxurious wood handle is the first class quality for at home hair styling. 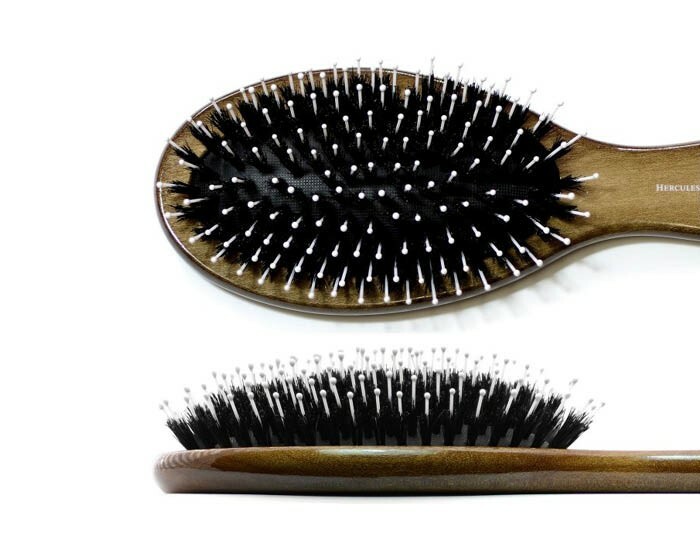 It is made of natural boar bristles with rounded elastic pins set in a pneumatic cushion. 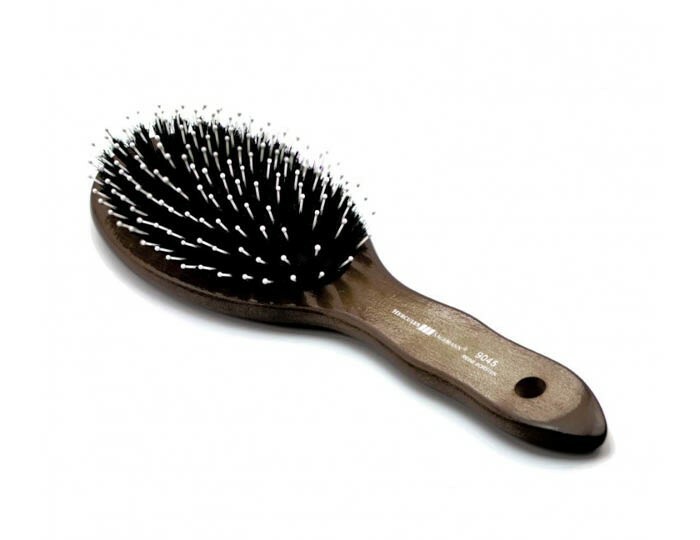 It softly massages the scalp and smoothens protective cuticles, thus enhancing silky shine of the hair. 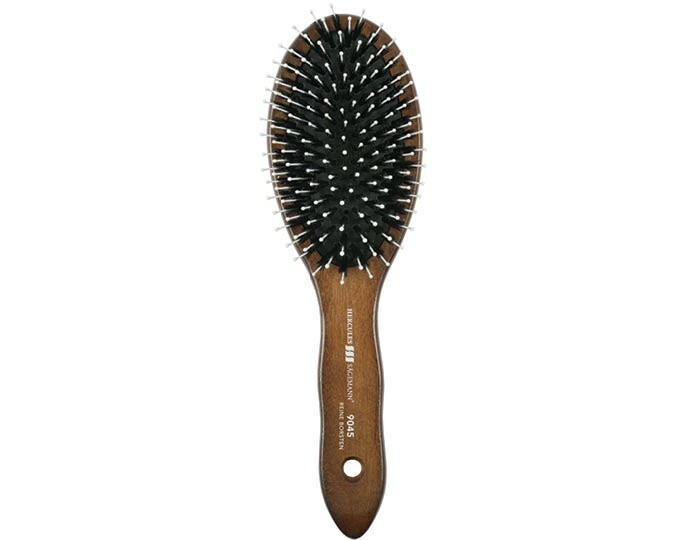 The brush features an anatomically designed handle crafted from dark walnut wood with comfortable, non slip grip. It is a deluxe gift for naturally beautiful and healthy hair by German experts whose classics are admired by the leading salon experts all around the world.